Parking: You can park your car at the paid parking places in the surrounding area. You can find the reserved places for parking marked on the map. Please beware of parking freely in the streets outside the marked areas - at blue zones. Friday: 22. 2. 2018 at 19:00, the venue is closing on Saturday 23. 2. 2018 at 06:00. Saturday: 23. 2. 2018 at 19:00, the venue is closing on Sunday 24. 2. 2018 at 06:00. Meet & Greet: We have arranged the Meet & Greet sessions with DJs yet again. It will take place on the ground floor, on the opposite side from the toilets. The exact times will be announced shortly. You can buy the tickets online in a pre-sale on our website in the TICKETS section. Printing out the tickets is not mandatory if you have bought them online. It is enough to show the ticket on your smart device with the exception of phones with damaged display - in this particular case it is necessary to print the ticket before the event. We can’t promise there will be tickets available at the door. There is a huge interest for tickets and they are selling out very fast. Therefore we recommend an early purchase because there is a high chance the tickets will be sold out before the event. 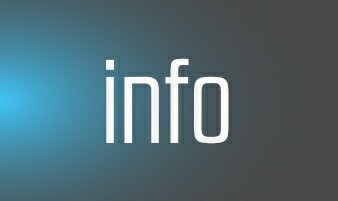 Check our website and / or our Facebook fan page for up to date information. Tickets for Let It Roll events are directly linked to your name, therefore the staff at the entrance will be checking the festival tickets together with your ID (or a different proof of your identity). Please have your ID ready before you enter the corridor. It will speed up the process at the entrance and you will help to avoid queues. If you have any problem with your ticket or you have the ticket with a wrong name, please visit a place marked as “AKREDITACE / ACCREDITATION” before you enter the corridor to solve it. If you have free entry (competitions winners) you will get your wristband at the accreditation after the staff checks your ID. Please have your ID ready. Visitors who have either bought the ticket at the door or in a pre-sale can go straight to the corridors. Once the staff checks your ticket and ID, you can continue freely to the festival area. Visitors who bought the Combo ticket for LIR Winter 2019 and LIR OA 2019 can go straight to the corridors. Once the staff checks your ticket and ID, you can continue freely to the festival area. This ticket is valid for both events – Let It Roll Winter 2019 to Let It Roll 2019 - so keep it save for further use. It WON'T BE POSSIBLE TO LEAVE THE VENUE AND COME BACK during the event (i.e. you can leave the place at any given time but you won't be able to regain access on the same ticket again). In case of purchasing the two-day ticket, it will be possible to return for the second festival night, 23.2.2019, from 19:00. The visitors can go to a marked area in front of and behind the Small Sports Hall in case they need some fresh air. Important notice for the people on the guest list: leaving and coming back to the event won't be possible (please see above). When entering the area, the wristbands will be cut so re-entry will no longer be possible according to the conditions for other visitors written above. You will be able to buy drinks at our bars and food at fast food stands. Also this year we are aiming for being nice to our mother nature so also this year eco-friendly refundable cups are in the game for your drinks. You can get them for 1BLT and if you do not want to keep it as a souvenir, you can return it and get the same cash back. Every cup also has a neat hook, so you can hang it by your belt when it’s empty or to carry more burs for your friends by hanging them on each other. Hall will be heated up. Standard toilets will be placed at the hall and at the outside area (ToiToi toilets). 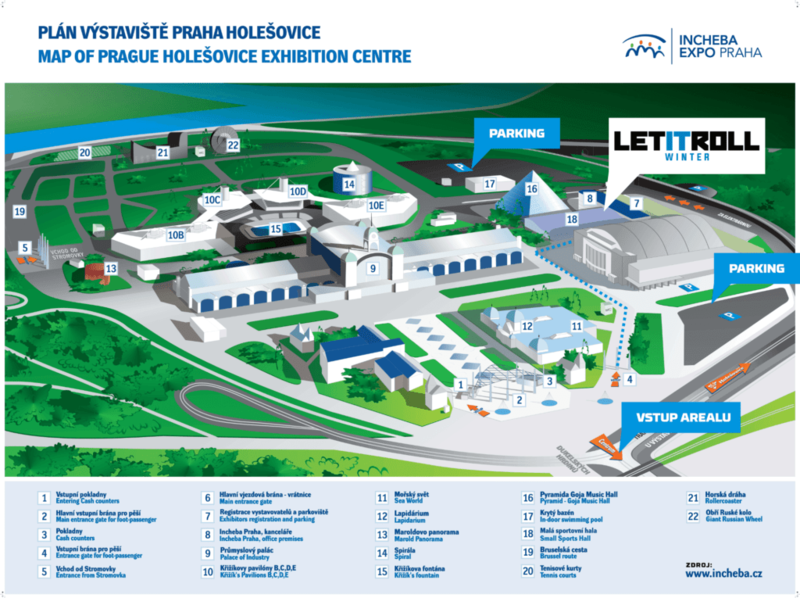 Area will also include high capacity cloakrooms on 1st floor with prices 50 CZK / jacket, 70 CZK / backpack. Also you will be able to rent a special Locker boxes placed outside next to the hall. You will be able to look for ambulance, firemen and security in the area as well. Look for a help next to the Meet&Greet. Across the camp are accepted payments only through cashless wristbands, which you can pick it up at Top-Up boxes blind the cloakroom. The exception is: Tickets + recharging cashless wristbands > can be paid in cash (CZK and EUR) and by credit/debit card. Cloakroom + Merchandise shop > can be paid cashless as well as in cash (CZK and EUR). Do you want to meet your favorite artist performing at Let It Roll Winter? You will have a chance! Timetable of M&G will be stated on-site. At Escape Wear stand you can get yourself some Let It Roll merchandise and souvenirs with a special limited edition of clothing and accessories. Check out www.escapewear.cz & www.dnbstore.cz to see what’s in stock. At the festival area an ATM machine of Moneta Money bank will be available and supplied with CZK. You cannot enter with your own drinks & food, with weapons and any kind of narcotics! Every visitor has to undergo a security check. Please respect the queue order to avoid unpleasant situations and pushing. You can take your photos & videos with your mobile phoe or a classis compact camera but use of professional equipment is possible only after a official accreditation. If you find any lost items, please give to the cloakroom. The full list of lost and founds items will be released few days after the event on www.letitroll.eu.